Towering over City Hall Park and standing above the birthplace of the subway system, the decommissioned City Hall Station, New York’s City Hall is considered one of the finest architectural achievements of its period. Constructed from 1803 to 1812, the building was an early expression of the City’s cosmopolitanism and remains one of the oldest continually used city halls in the nation. City Hall is a designated New York City landmark, and its rotunda is a designated interior landmark as well. 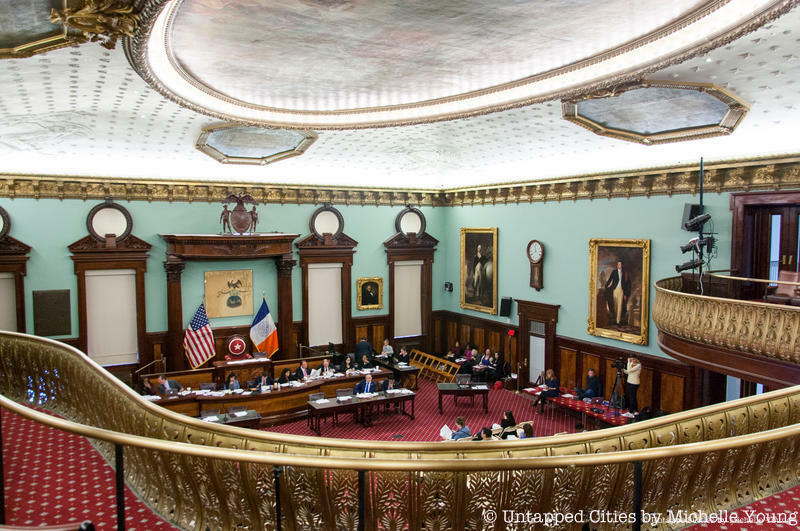 On September 18th, join Untapped Cities for a behind-the-scenes tour of New York City’s City Hall led by the Public Design Commission. Guests will gain access to various parts of the building including the landmarked rotunda and City Council Chamber. You will also step inside the Governor’s Room which houses the City Hall Portrait Collection and historic furnishings including a desk used by George Washington. If you are or become an Untapped Cities Insider, you can attend this tour for free!